This is the third book of K.B. Dixon's I've read. I just finished it and my initial response was that the book made me calmly amused. Which is a wonderful thing in our frenetic, bouncy, jangly, lives. 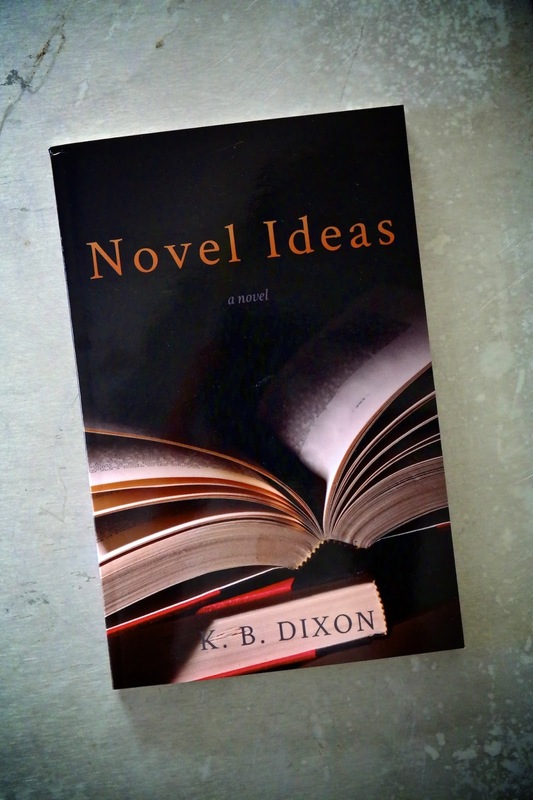 Dixon doesn't write the traditional novel. He works in paragraphs and pages of loosely interconnected thoughts and observations. The thread that holds this collage of domestic and professional vignettes together is that of an author looking for his next...idea, story, concept. He considers writing a book about an accountant who is trying to devise a spreadsheet that will inform him how NOT to waste any personal time in his life. The main character flows through the process of living his live, engaging with his wife, and looking for the inspiration to generate content. It's sounds eerily familiar to nearly all of my friend's lives. The character comments on the bleak nature of a painter friend's canvases since the demise of painter's romance. He counsels a friend, in very oblique ways, to extricate himself from a relationship with a crazy person. "As for your wayward fan, I agree a certain sort of friendly concern would be normal under normal circumstances, but as we both know, the circumstances as they pertain to Ms. Keen are not normal. Your worry about the rightness or wrongness of a strategic withdrawal seems pointlessly punishing." He considers writing a "true life" crime novel, does the research, may have solved the crime, but ultimately rejects the idea as the framework for a book. The book, and Dixon's style, appeal to me because it follows the idea of making literature compelling because it is believable. These are lives that we live in our demographics. We don't worry so much about hunger as we do editorial rejection, or getting tenure, or keeping track of our competitor's success in grabbing pieces of the pie. I recommend his books to people who like to feel the sound of words as they read. I recommend his books to people who suppose their own ennui is somehow unique and gift-like. But mostly I recommend his books because the arc of their loosely connected stories makes me smile.